Professor Schwartzman investigates the ways that classification and meaning-making around race and ethnicity are implicated in the reproduction of inequality, and in efforts by contemporary state institutions to track and address the inequalities that have arisen from earlier, and ongoing, exclusionary use of such categories. She aims to understand such practices cross-nationally, using both qualitative and quantitative methods. 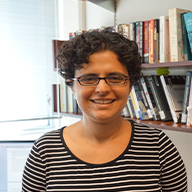 Her early work, developed from her dissertation, focuses on the relationship between racial classification, social stratification, and affirmative action in Brazil. There, Professor Schwartzman examines how racialized stratification processes and race-based affirmative action work in a context where the boundaries between “black” and “white” are relatively fuzzy and porous. In other words, she asks how, why and with what consequences Brazilians are categorized as “black,” “white,” or “brown” (pardo). In her more recent work, Professor Schwartzman has broadened her research program beyond Brazil to other countries and expanded it from racial labeling to a broader set of practices of distinction and meaning-making, which intersect with racial and ethnic boundary-making in different ways. This broader research agenda has led Professor Schwartzman to a diverse set of topics, such as the meanings of “immigrant background” in Germany, struggles over the appropriate justifications of affirmative action in Brazil, the racial and ethnic classification of second-generation immigrants in the British census, and the role of the idea of “culture” in evolving understandings of multiculturalism and racial democracy in Canada and Brazilian mainstream media.